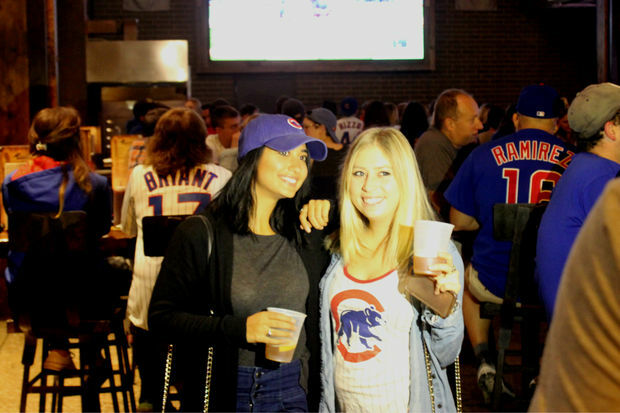 Fans take in the early game action at Old Crow on Clark Street in Wrigleyville Tuesday. WRIGLEYVILLE — Hours before Tuesday's Game 3 of the National League Championship Series in Los Angeles, Cubs fans and Lakeview residents were showing their support. They could only watch though as the Cubs' offense was shut down by the Dodgers for the second straight game as Los Angeles won 6-0 to take a 2-1 lead in the series. Game 4 is Wednesday night in L.A.
With the Cubs playing their away games this postseason against the Los Angeles Dodgers and the San Francisco Giants, many local fans have opted to stay away from Wrigleyville and watch the late games at home. But that does not mean the neighborhood isn't decked out in Cubbie blue and bursting with enthusiasm and excitement. 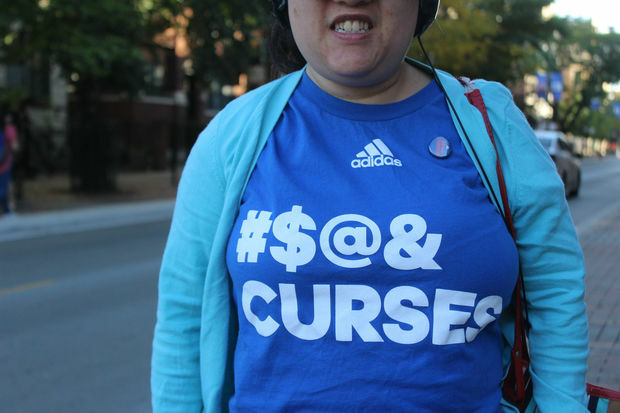 Cassie Yun was walking home from work to her Lakeview apartment in a festive Cubs shirt that read "#$@& curses," a nod to the legends that have supposedly kept the team from World Series glory for more than 100 years. Yun admitted she was a bit nervous about the Cubs series with the Dodgers but said it doesn't have much to do with the team's history of playoff collapses. "I'm good now that Jake Arrieta's playing," she said. "Once they get hitting, we'll be OK."
Wrigleyville does not have the same atmosphere on away game days as when the Cubs are playing at home, but for some fans, that's a good thing. 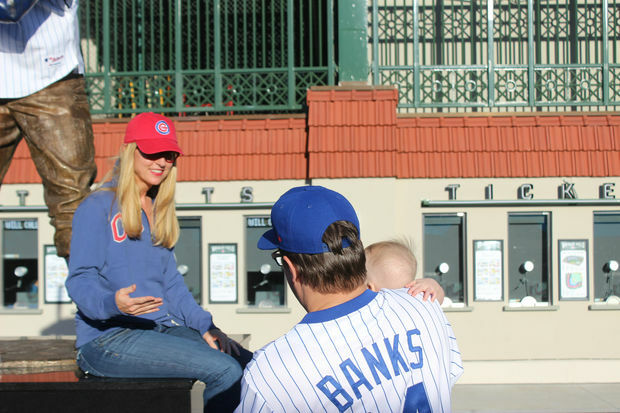 Heather and Rick KingenSmith, of Logan Square, brought their 9-month-old daughter, Quinn, to the ballpark Tuesday to take some pictures and see the park, they said. They all wore Cubs gear and brought along a photographer, posing with Ernie Banks' statue on Clark Street. "It's an away game, it's a nice day and we just wanted to come out," Heather said. Rick said he wanted to take photos with his young family outside the park just in case this is the year the Cubs win it all. "Quinn might live in a world where the Cubs win the World Series," he said. "We wanted to capture it. It will be a whole different world."